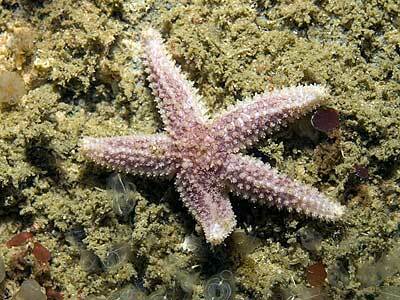 Description: A small spiny starfish, usually mauve or green in colour. In smaller specimens the spines may form regular lines along the arms, in larger ones they are scattered. Between each group of spines there are single papulae. The green colour form lives on the shore and in shallow water; the colour is due to single-celled algae in the tissues of the starfish. Typically up to 6cm across. 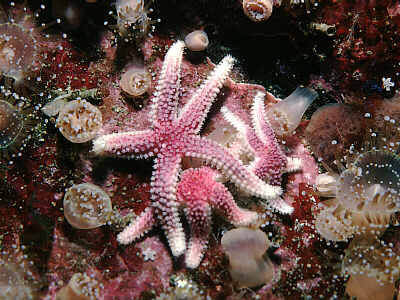 Habitat: A characteristic shore form, occurring under boulders and in pools. Sublittoral specimens are found in moderately or very exposed shallow rocky sites. Distribution: A northern form in the British Isles, occurring as far south as SW Ireland but commoner in Scotland and the Irish Sea. 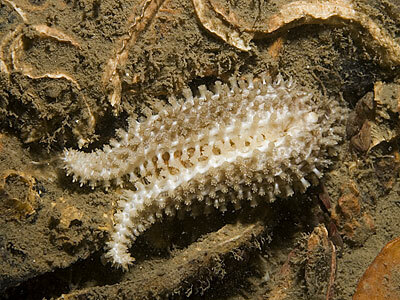 Similar Species: Small Marthasterias glacialis or Asterias rubens can look very like this species. 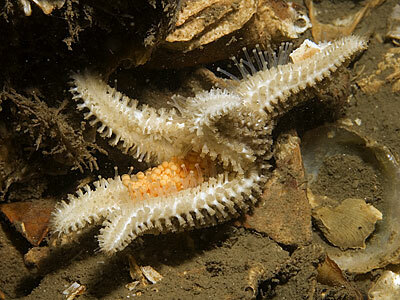 Five armed starfish with spiny surface. Colour green or mauve with paler tips to arms. A single papula between each group of spines. Picton, B.E. & Morrow, C.C. (2016). Leptasterias muelleri (M Sars, 1846). [In] Encyclopedia of Marine Life of Britain and Ireland.